Thank you for your interest in supporting the 68th Annual Wildlife Disease Association International Conference! In addition to supporting the 68th Wildlife Disease Association Annual Conference, sponsorship will help promote the “One Health” efforts of WDA, our commitment to student and professional education, and wildlife health and conservation. A longstanding tradition (and popular event) of the annual WDA International Conference is the Tuesday evening auction. Any auction items donated by sponsors are greatly appreciated. On behalf of the entire Organizing Committee, we wish to thank all of the organizations that take the extra step to partner with us by becoming a sponsor. This event would not be possible without your support! 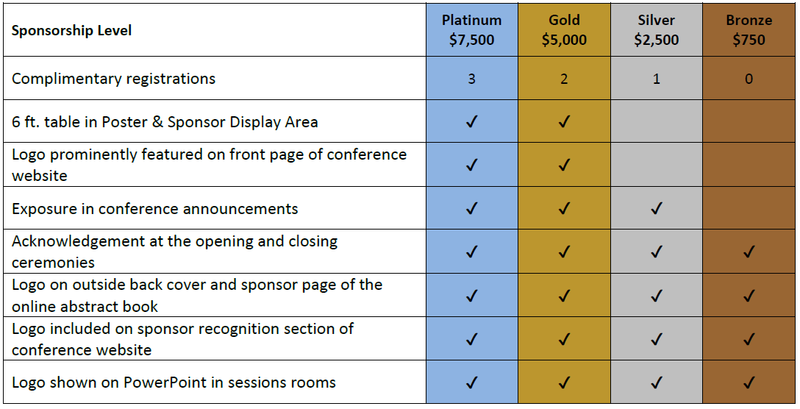 Download the Sponsorship Opportunities information as a PDF by clicking here.